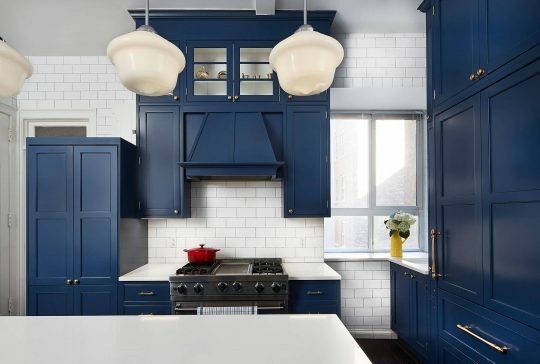 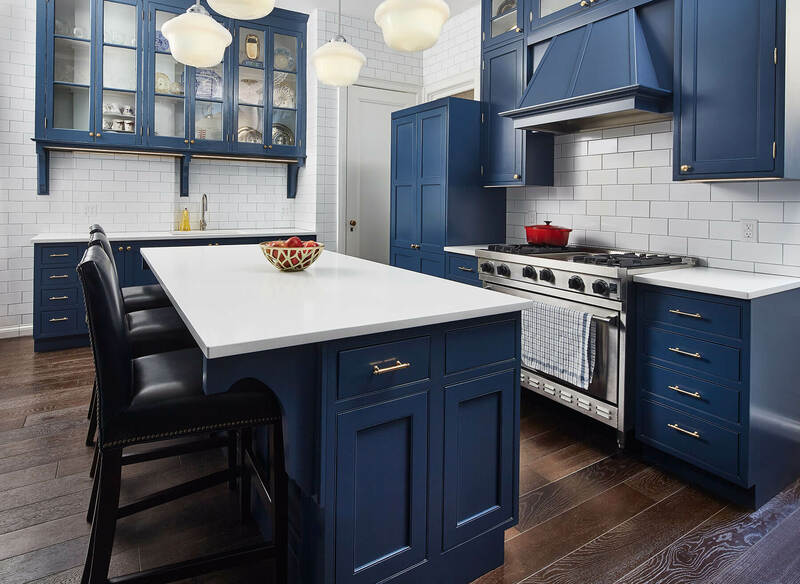 Maintaining the character of this 1909 original kitchen on Riverside Drive was critical for our client who often rents out her apartment for films and movies. 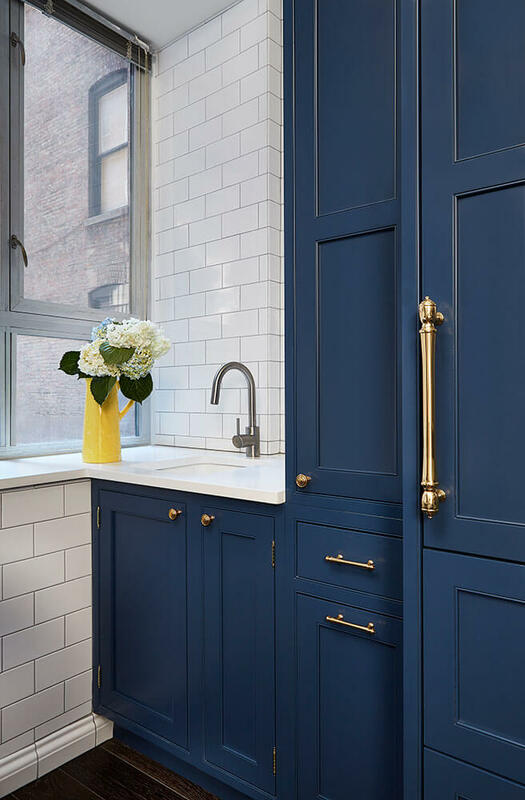 The client wanted the modern amenities of a new kitchen, including a large built-in refrigerator and hidden laundry cabinet, while maintaining the character of the original kitchen. 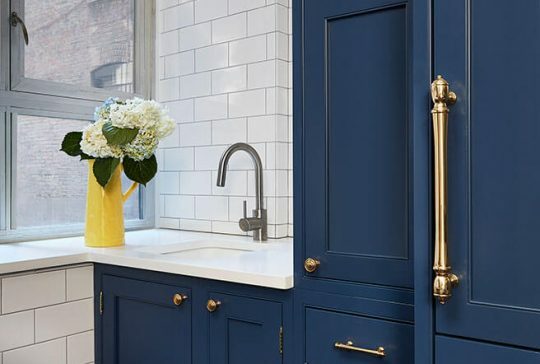 Our team worked closely with the custom cabinet manufacturer to precisely detail the cabinetry and ensure a seamless match between the existing cabinets that were chosen to remain and the new cabinetry. 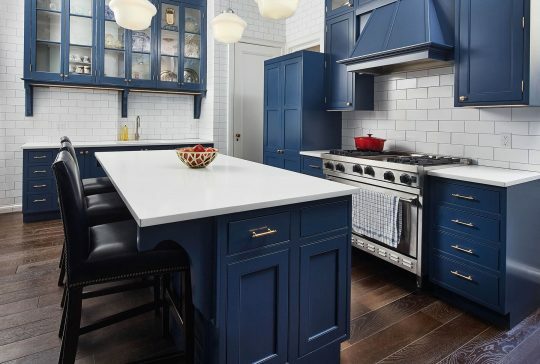 The large island has become the central gathering place for their family of 5 and is the true heart of the 3,000 square foot home.